We posted this on Facebook about a week ago, but figured it would make sense to write something about it on the blog, as well. We want to get as many people signed up for the new message board (www.thetomablogmb.com) as possible, so why not give you the readers some more incentive to do so. If we reach 500 registered users by October 10th 2017 we'll give away four free tickets to the Tomahawks' home opener. The rules are very simple. Once you make an account you're automatically entered to win. Each user has the ability to win one (1) free ticket. We will randomly select four user names on the 10th and those will be the winners. If a winner cannot make the game, we will select another name as a replacement. So please sign-up if you haven't already. Also tell your hockey loving friends to sign up too. We hope to reach 500 registered users and think it's an obtainable goal, but even if we don't get that many in the next few weeks, we'll still give away some tickets. Here's the breakdown. Making a message board account is free and always will be. It takes less than two minutes to set everything up. So far, as of this posting, we currently have 42 members. Those members are already eligible for the giveaway. Now's the perfect time to chat with other fans about the season and everything Tomahawks. Joey Baez has been playing the game of hockey since he was three-years-old. After all the years, and different levels of play, this past February he signed a tender with the Johnstown Tomahawks. “I wanted to get prepared for college hockey. I wanted to experience junior hockey,” said Baez. To do that he believed that Johnstown would be the perfect fit for him. Baez is a fast skating forward, who during training camp this preseason has found ways to get around even the most mobile skating defenseman. Along with his speed, he has the scoring touch that makes his game even more deadly when he’s out on the ice. “I see myself as a playmaker and goalscorer,” said Baez. That he is. 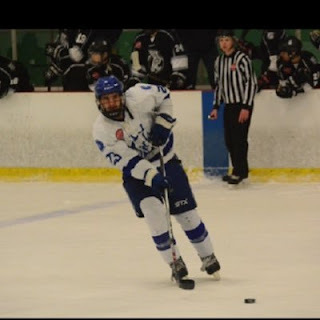 Last season, Baez played for the Skipjacks Hockey Club U16 team. In 27 games, he scored 22 goals, 29 assists, which gave him 51 points on the season. The year prior to last, he also played for the Skipjacks U16 club and was a point-a-game player, scoring 24 points in 24 games. His ability to score goals will be a welcome for the Tomahawks, as they’ve seen players like, Nick Bruce and Filips Buncis, move on to the college level. Also players like Dalton Hunter and Donovan Ott who’ve moved up to the USHL for this upcoming season. Joey Baez is one of the few players entering training camp this week that already has a college commitment. Baez committed to the University of Alabama-Huntsville back in November of last year. Alabama-Huntsville is a D1 school. One of the most famous players to come out of Alabama-Huntsville is current NHLer, Cam Talbot. Baez’s personal goals for the season are all about doing anything in his power to get the Tomahawks a Robertson Cup Championship. “Just playing really well with the team. I really want to get along with the guys. I just want to be a good teammate,” said Baez. Last season, the Johnstown Tomahawks found themselves with several players out of the lineup due to injury and suspension. The Tomahawks needed to add a few players to their roster so they could compete without being extremely shorthanded. One of those players that got a call from the Tomahawks was Pittsburgh native, Roman Kraemer. Kraemer played for the Pittsburgh Penguins Elite U18 team. In total, he would see action in 32 games for his U18 team, scoring 42 points. When he joined the Tomahawks his point production continued, even at the higher NAHL level. “He was really dynamic,” Mike Letizia said about Kraemer’s play. 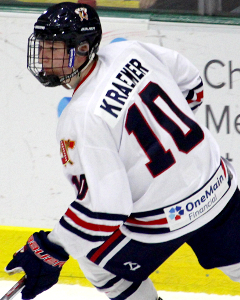 Kraemer, in total, played 6 games for the Tomahawks, scoring 4 points. He was also on Johnstown’s playoff roster and appeared in all three games. In those three games he registered two assists. “It was a great experience, going from U18 to junior hockey. (It) was a big step,” Kraemer said after finishing another high-paced training camp practice, run by head coach Mike Letizia, on Thursday. Kraemer is one of a few players returning from last year’s Tomahawks team. Looking back at last year’s call up, Kraemer was impressed with the differences that came from playing in U18 hockey and coming up to the Tier II NAHL level. “There’s a lot more speed in junior hockey and a lot more hitting. There’s a lot more skilled guys. Every player is a good player. You don’t see a weak spot on any team,” Kraemer said. The goal for the entire team is to make the playoffs and then make a solid run to win the Robertson Cup. Personally, Kraemer wants to improve his game even more and be a go-to player on the ice. “(I’ll) try and move the puck as much as I can. Just be a playmaker for the team,” said Kraemer. With the team losing seven of it’s top scores during the off-season, Mike Letizia believes that Kraemer can be a player that can help make up that loss. “He looks like he’s primed to take a pretty elevated role on the team this year and we expect him to do that for sure,” said Letizia. The new hockey season is getting closer by the day. The Tomahawks have been back in town for the last week, attending training camp to get ready for the season. There's been a lot of articles and news about the team in the past week, and if you missed any of it, no need to worry. We've got you covered. Below are all the stories you need to make sure you check out. These are from the Tomahawks' official website, The Tribune Democrat, and our blog. Features info about returning players, some new players, and a ton of quotes. Purpura has his eyes set on the starting goalie role. Features quotes from Purpura himself. Trouba talks about stepping up into a leadership role this upcoming season. Features quotes from Trouba. Info about Mike Letizia's two principles and how the players are looking in the first week of camp. Once again, filled with quotes. We take a look at why for the first time in team history the Tomahawks have no preseason games to play. The Tomahawks parted was with a few players that were set to return this upcoming season. Find out who they are in this article. 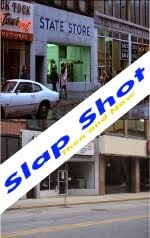 We've added a second site to The Tomablog brand.